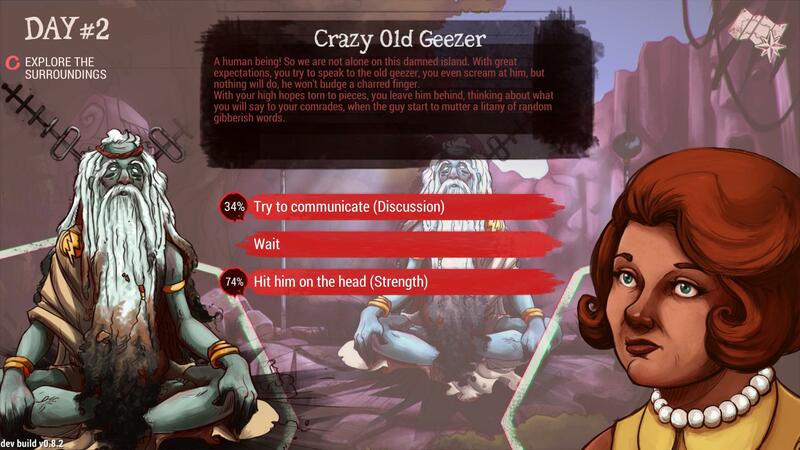 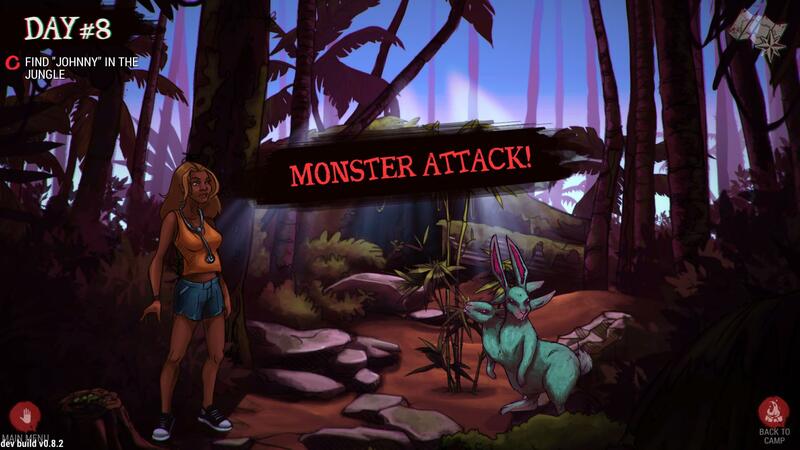 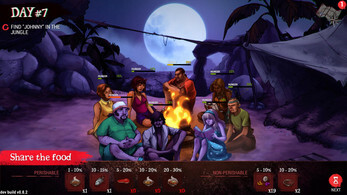 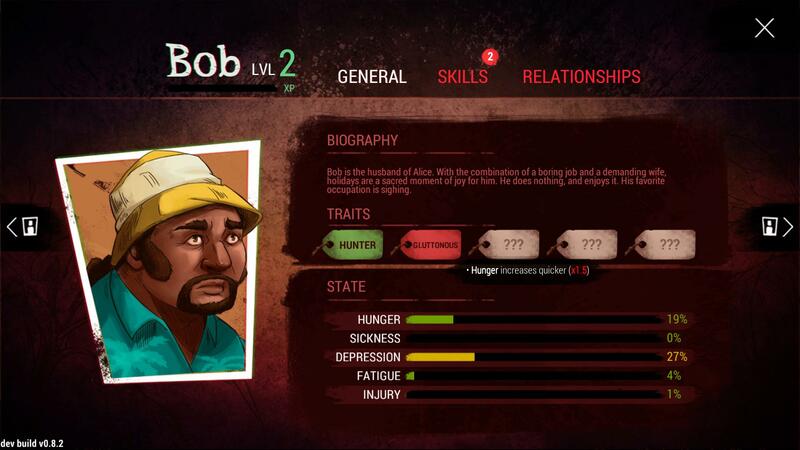 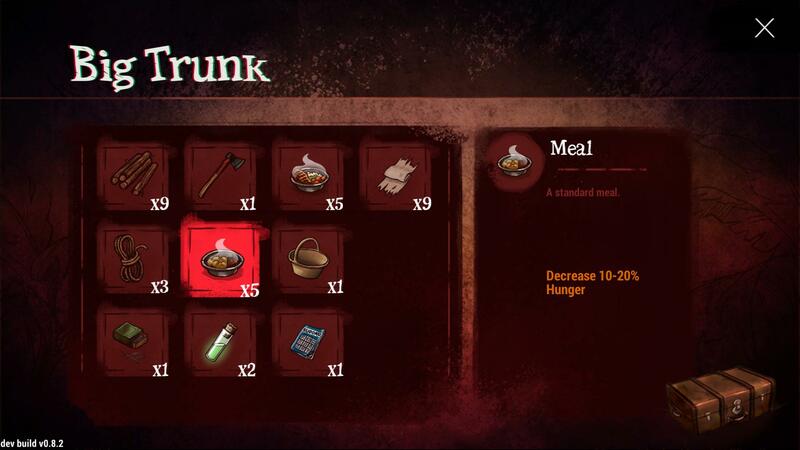 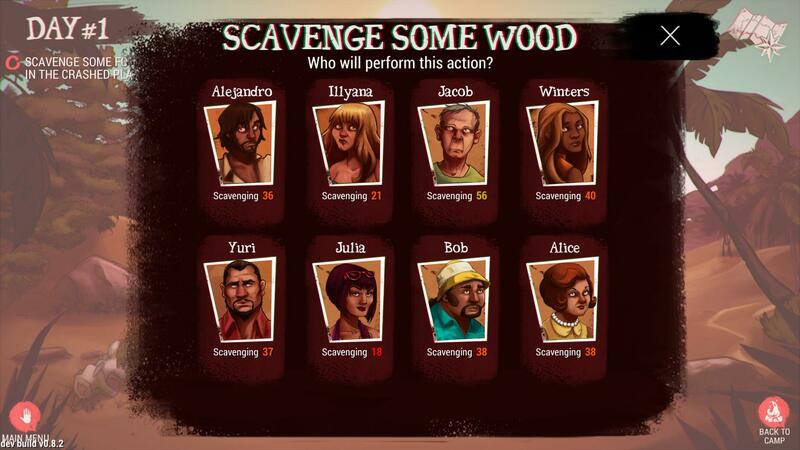 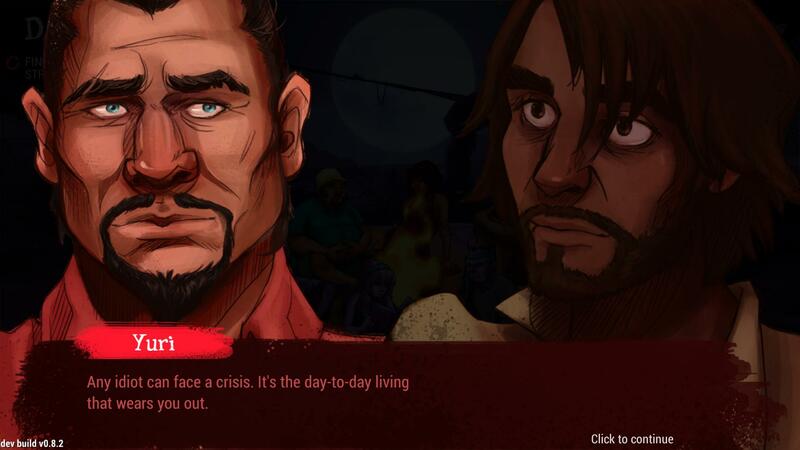 DEAD IN BERMUDA is a survival management game with RPG and adventure elements, in which you lead a team of 8 survivors from a plane crash on a strange island. 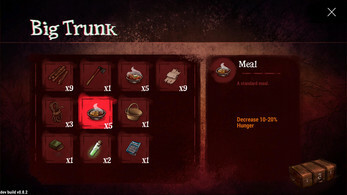 Assign your survivors to tasks, gain experience and level up your survival skills, research and craft new items for the camp, explore the island for resources and solve the mysteries behind an ancient atlantean prophecy. 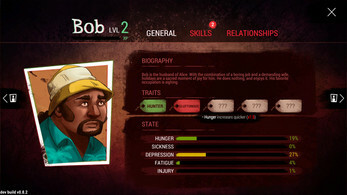 -Manage the well-being of your team: they can die from Hunger, Fatigue, Sickness, Injury and Depression as well as lack of water. 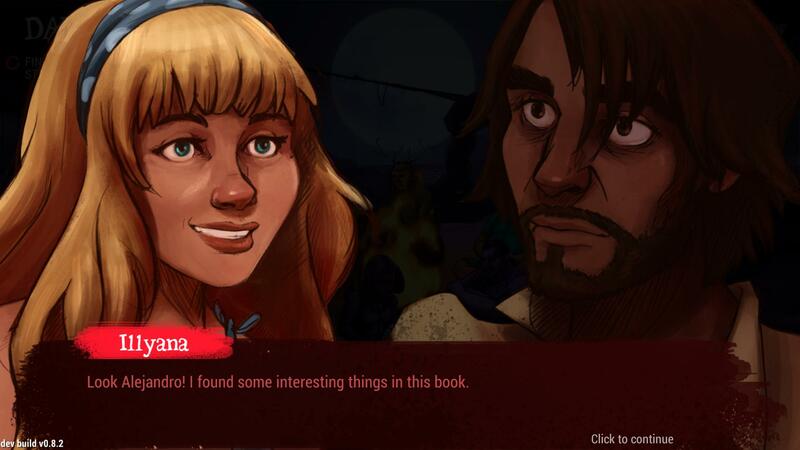 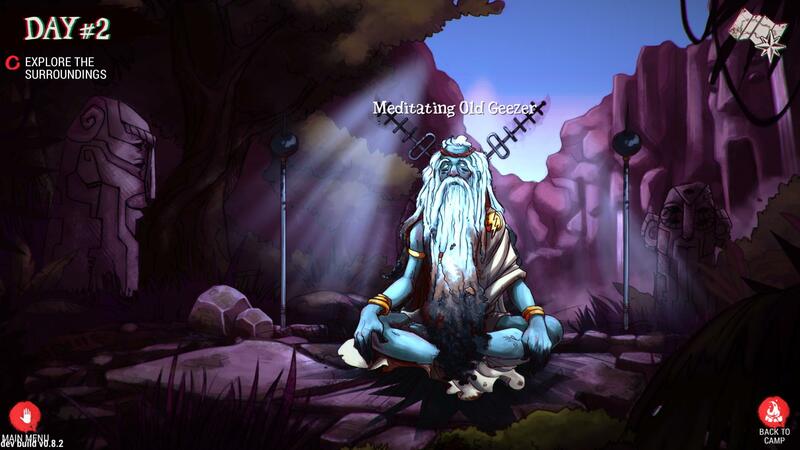 -Relationships between characters evolve! 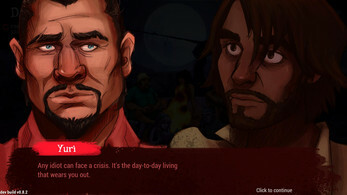 They can argue, become friends and even lovers. 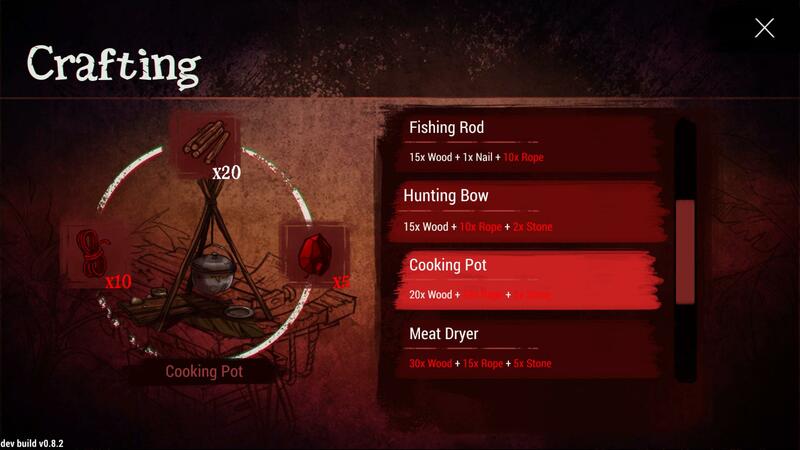 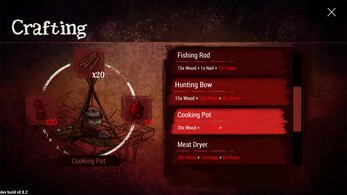 -Research & Craft to upgrade your camp. 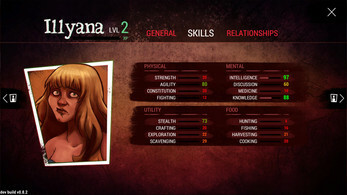 -Deep RPG system running behind the scenes: the efficiency of every action is tied to character skill, opinions and the state of the character. -Exploration: 100 map areas to discover, each with its own rewards… or traps! 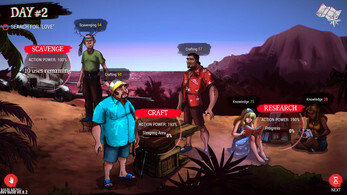 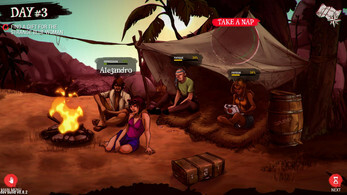 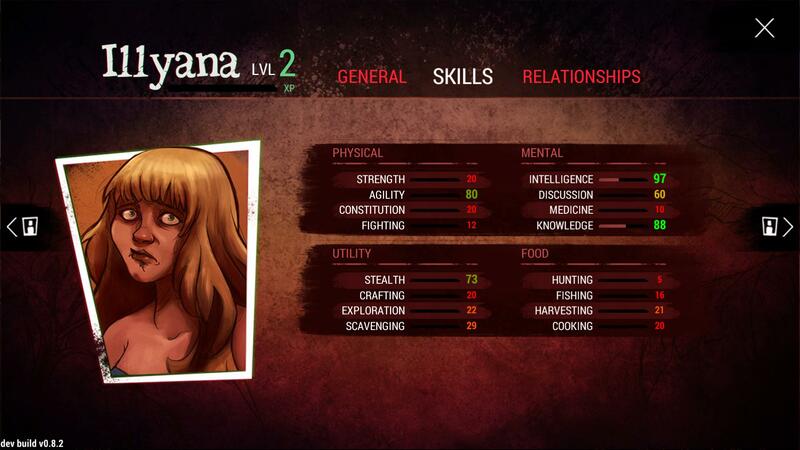 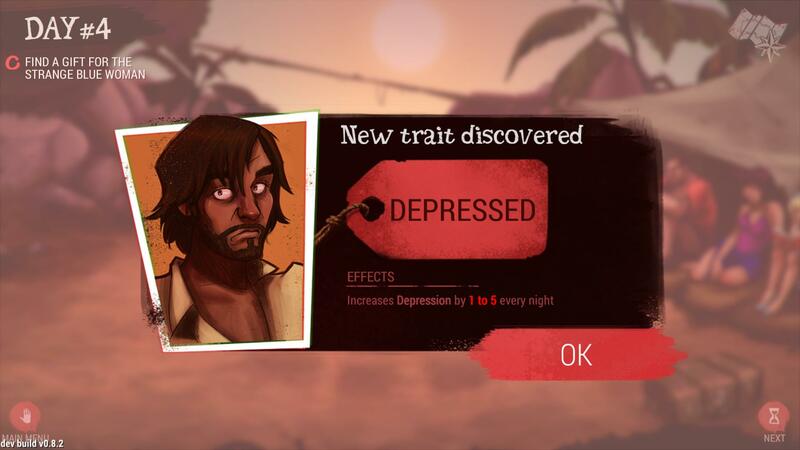 -Randomized elements: the map, the items, the dialogs, the skills and traits of your characters changes every new game. -Special encounters in the jungle with choose-you-own-adventure like elements. -Easy to play, but hard to survive!